This content is provided by Patrick E Groomes. Patrick brings substantial experience in transactional, commercial, development, and regulatory matters. 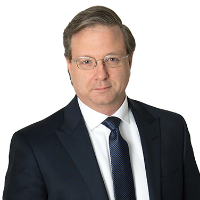 In the area of marketing and trading, Patrick has advised clients in structured and standardized transactions, including energy, capacity, ancillary services, renewable energy credits, natural gas, liquefied natural gas, crude, fuel oil, coal, agricultural products, coal combustion products, petcoke, ethanol, biodiesel, and precious metals. Patrick also advises clients on rail, barge, vessel, truck and pipeline transportation matters. With regard to rail transportation, he advises clients on railcar leases (operating, leveraged, and synthetic) and rail transportation agreements. In the area of transportation logistics, he also advises clients on ground and tank storage, throughput, and terminaling agreements. Patrick served as in-house counsel at two independent power producers, including as acting in-house counsel for the trading arm of one during reorganization. Prior to becoming an attorney, he was an energy analyst and focused on various aspects of U.S. energy markets, including power price forecasting, fuel price forecasting, and fuel transportation.